Your next PlayStation may hide commercials in its CPU. Sony has patented a system designed to interrupt media content and insert advertisements. According to the patent, the invention is intended to be used with "computers, graphic workstations, television, entertainment systems, video game systems, DVRs, media players, home servers, video game consoles and the like." The code that transmits the commercials can be hidden away on removable storage devices, the GPU, the CPU and the RAM. According to the patent, you'll know it's happening when "the game slows down...the user knows to get ready for a commercial, the game then stops, and the commercial is played. After the commercial, the game resumes." In some instances the game "may resume by slowly starting again, which allows the user to remember where he or she was in the game." This isn't the first time Sony has expressed an interest in such technology; the patent has been active in one form or another for at least six years. 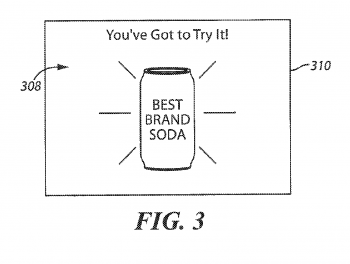 However Sony's decision to continue the patent strongly suggests they want a workable advertising system at some point. Don't think this is limited to PlayStations. Sony manufactures hardware as well as software, and assuming they follow through on this patent then there's no telling where those storage devices or central processors will end up. After all, when you buy a media player, you don't ask where the manufacturer got their GPU. So. Anyone want to buy some soda?